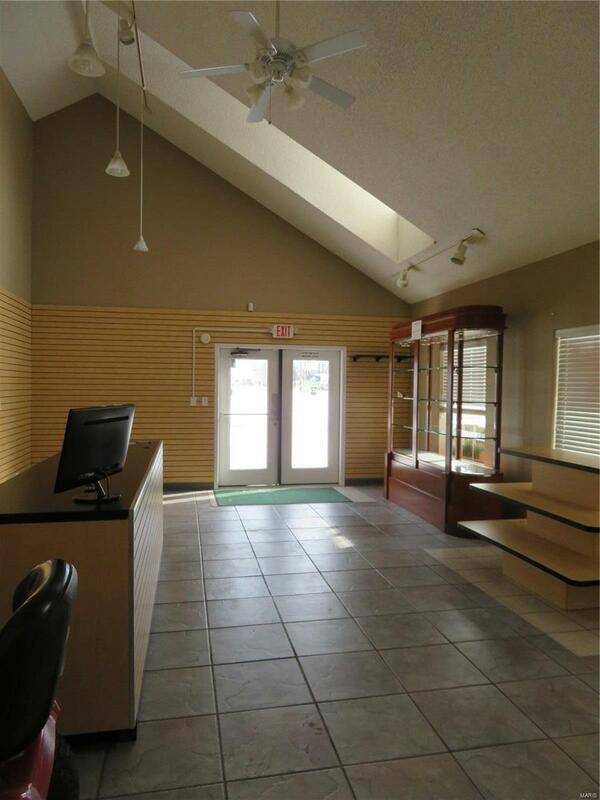 For Lease or Sale: Retail/Office Building in excellent turn-key condition with 22 parking spaces. Tiled flooring throughout. Large windows. Beautifully landscaped lot. Previously used as a retail store. Lighted display windows and main front entrance door. Security System installed. Need contract with carrier. Rear pole light.Contiguous vacant lot also available by this Owner.Both properties priced at $719,000 for a total of .71 Acres. An additional lot may be available for a total of approximately 1 acre. Fronting main thoroughfare in the City of Fairview Heights, Illinois. Approximately 11 miles from Downtown St. Louis, MO.19,600 Vehicles per day. Located 1 mile +/- from:St. Clair Square Mall, Major Retailers, Schnucks Grocery Store, Restaurants, etc.I-64 Interchange (Exit 12)IL Rte 159 & US HWY 50 (Lincoln HWY) IntersectionExcellent location for retail (florist, gift shop, market, etc. ), chiropractor, insurance office, professional office, etc.